Different scents, tastes, colours and textures will all be experienced at the amazing restaurants and bars set in the Quinta da Floresta. Offering you beautiful views of the natural green golf course and an incomparable soothing environment, you will be sure to appreciate every bite. 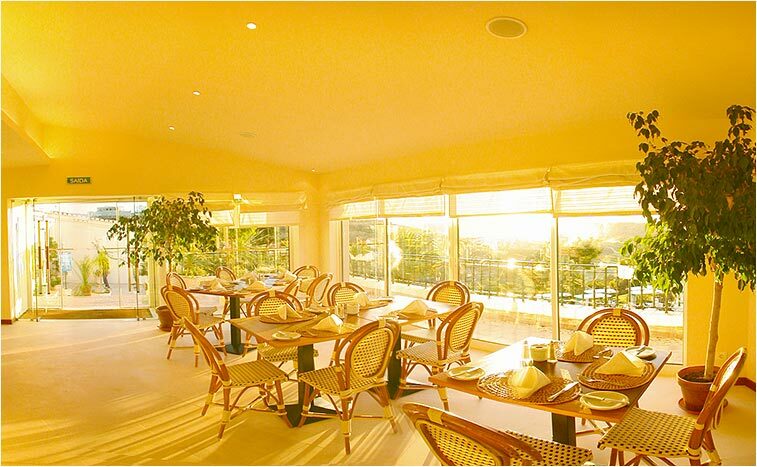 With a fabulous blend of local and international cuisine and a peaceful view of the golf course “on the side”, the O Quinta restaurant will not fail to impress you. 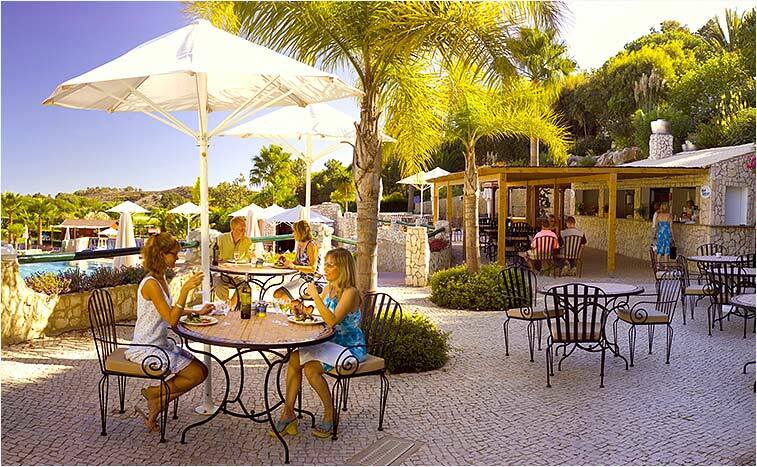 This restaurant is the official location for all Santo António Villas golf festivals and is the ideal place to host a formal social evening event. This relaxing and casual restaurant has a Mediterranean feel to it and serves a number of grilled and barbecued food, fresh salads and snacks, all presented on an elaborate à la carte menu. 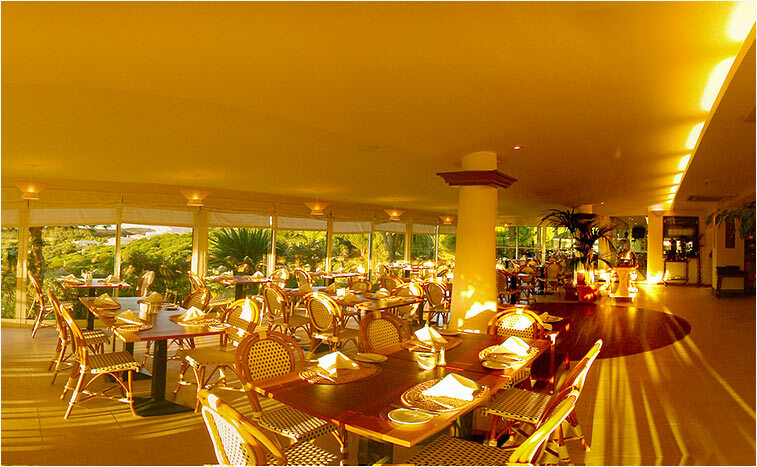 Set near the poolside, the Blue Lagoon restaurant is a great option for a light meal in the sun. 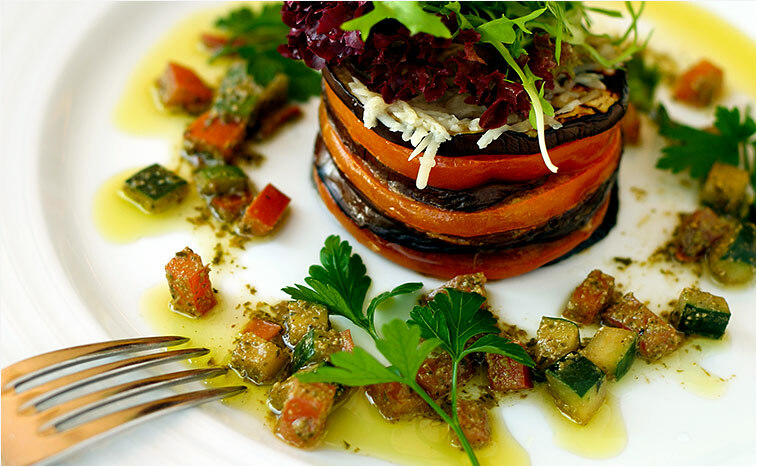 If you love Italian food, the Vicentino’s Trattoria is the perfect restaurant for you. Giving you a wide range of dishes such as fresh pastas with delicious salads, home made pizzas, desserts and so much more, you must not miss a meal in this restaurant. 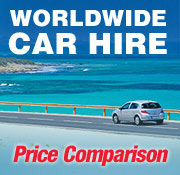 Also, a delivery service to your accommodation is possible. The Blue Wave Beach bar is a splendid place to lounge and enjoy a meal for lunch or dinner while facing a gorgeous view of the Atlantic Ocean. Serving light meals such as salads, fresh fish, sandwiches and Italian breads, all dishes are presented with a formal touch due to its use of exotic local Mediterranean ingredients. With a vast variety of refined Portuguese wines and an à la carte menu with exquisite Chef recommendations, the Taberna Restaurant & Bar is located in the Quinta da Encosta Velha golf village. During lunchtime you can make your way to the Taberna to have a delicious snack menu. With a fantastic beach view and a great laid back environment, the Prancha Restaurant and Bar is a good solution for easy meals like salads, snacks and sandwiches. Although simple and practical, your appetite will be satisfied in no time. If you like to watch sports while grabbing a bite, the Spike Bar is the place for you. Serving you quick snacks, refreshments and light meals, this snack bar transmits all sports TV channels. This informal bar is destined for some fun, socialising and watching the game on TV with friends and family. Serving refreshments and daily snacks, this sports bar is certainly a nice option for all families and friends. As if these amazing restaurants weren’t enough, it is also possible to request a personal gourmet service prepared by the Quinta da Floresta’s chef, right in your very own accommodation.